Below is Part Two of OstenArd.com’s interview with Science Fiction/Fantasy writer Tad Williams, author of the “Memory, Sorrow and Thorn”, “Otherland”, “Shadowmarch” and “Bobby Dollar” books, and who recently announced the completion of the first draft of The Witchwood Crown, the first volume of a series of sequel novels to his classic “Memory, Sorrow and Thorn” trilogy. (Part One of the interview can be found here). In this interview, we asked Williams what it’s like to return to the world of Osten Ard, how he’s reacted to the announcement that Michael Whelan will be illustrating the covers, and what he’s been researching while working on The Witchwood Crown. 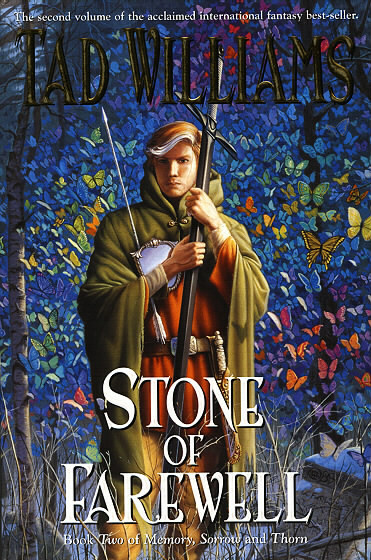 OstenArd.com: It’s been recently announced that Michael Whelan will be doing the covers for the new Osten Ard books, just as he did for the classic MS&T series. When I spoke to him in person in November, he was excited and proud to be asked to create the new cover art for your books. How excited are you to know that his amazing work will be on the new books? 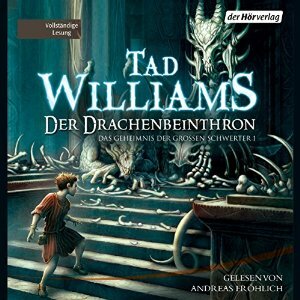 Tad Williams: I think it’s wonderful. It’s hard to imagine what anyone else could do with them, since Michael put his stamp on them so authoritatively. And I’ve always loved Michael’s work, since long before he intersected my career, or I even had a career to intersect. So, yes, thrilled to see what he’ll come up with, proud that he wants another go. OA.com: On the TadWilliams.com message board, you revealed a partial character list. Any plans to reveal a more detailed or more extensive character list? Or would that be too spoilery? Tad: I intend at some point — probably closing of rewrite of first draft — to update and correct that list. Also, I may very well release the chapter titles, which won’t necessarily give anything away conclusively, but will certainly inspire some guesswork. OA.com: When MS&T was first published the initial critical reaction was disappointing since critics only read it as a generic fantasy trilogy and failed to see more than that. Only a few critics (like Roz Kaveney) saw beneath the surface and recognized it as a revisionist fantasy. But 30 years on, a new generation of writers is acknowledging their debt to MS&T (Brandon Sanderson, Christopher Paolini, even GRRM), and MS&T is widely regarded as “classic”. Are you still disappointed over the lack of critical appreciation? Do you think that the new trilogy will change that? 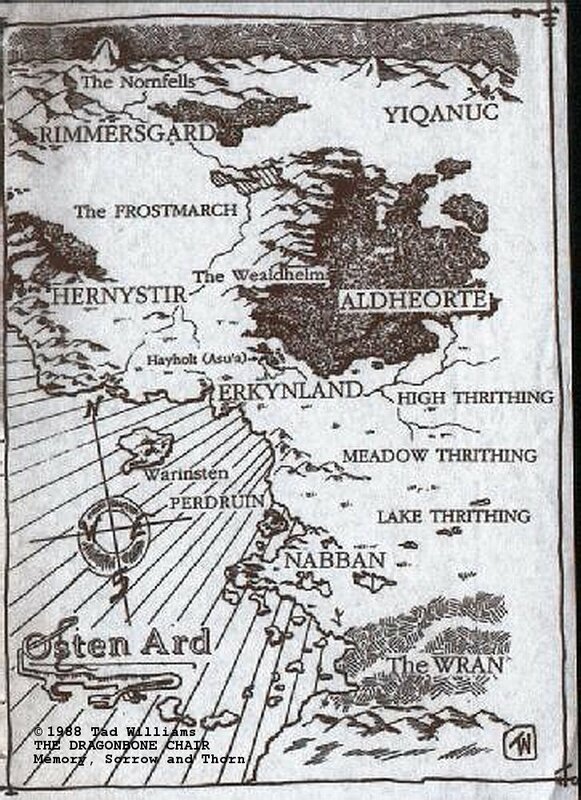 OA.com: Has Osten Ard society changed in the last 30 years? Does Simon’s upbringing have lasting influence on his kingship and if so was he able to change things? Did he want to? Tad: That’s one of the things that will definitely be a part of the story, so It’s hard to discuss without giving things away. But, yes, Simon and Miri and the lessons their lives have brought them will have a lot to do with the future of Osten Ard, and they both want to be “good” rulers, so they’ve spent a lot of time since the end of TGAT trying to figure out what that means and how to accomplish it, with mixed success (as is true with all of us with just about anything). OA.com: How difficult is it to “collaborate with yourself”, as it were, in writing a sequel to a story you wrapped up over twenty years ago? Are you trying to match the style and mood of the original, or are you just trusting yourself that it will come out right? Do you find yourself remembering any of the feelings or thoughts you had when writing MEMORY, SORROW AND THORN, even things you’d forgotten until now? Tad: I won’t really know until I’ve finished, because when I’m writing things they are always composed of dangly bits and rough edges that have to be fixed, and that’s where I am right now — all dangly bits. Some of the process is easier than a first-time novel, because for instance I already feel I know who Simon and Miriamele are in a deep sense, and can guess which things would be appropriate to their adult selves, and which wouldn’t be. But of course I’m not just trying to match a style, or match older characters to their younger selves, I’m also trying to match an -impact- as well, because I’m messing with material that in some ways means more to readers than it does to me. While I know I will never be able to write new stories which have the same impact for the older fans, I want them to feel appropriate, and that I took the best possible care of old favorites while justifying a sequel by adding new material. 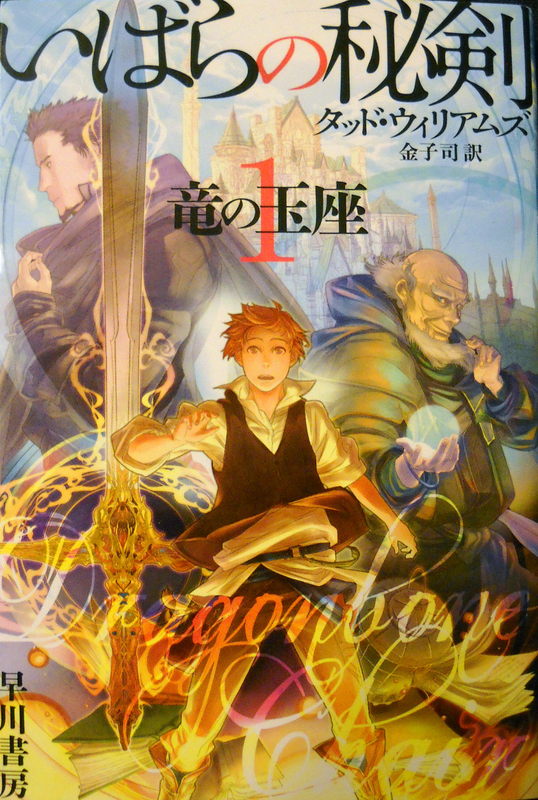 And of course, I can’t forget about all the people who may read this without having read the first books. I don’t want to freeze them out and make it some kind of nostalgia fest. So it’s a very interesting, occasionally terrifying thing to do. OA.com: For the Shadowmarch series, you mentioned doing research on geology, iirc. What sort of research did you do (are doing) for TLKOOA? and so on and so on, to the tune of about five hundred bookmarks. Not to mention the fact that I’ve got about forty or so research books that I have out and in use just for this story alone, as well as copious notes from the first book and various other bits and bobs. (Message Board conversations, Maps, etc.) So, yeah, there’s research in all my stuff, but I think this one is second only to OTHERLAND in terms of how much material I’m using.